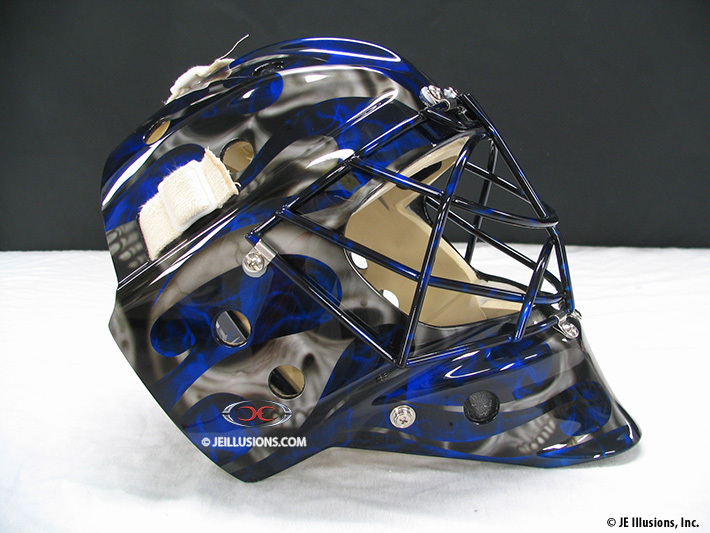 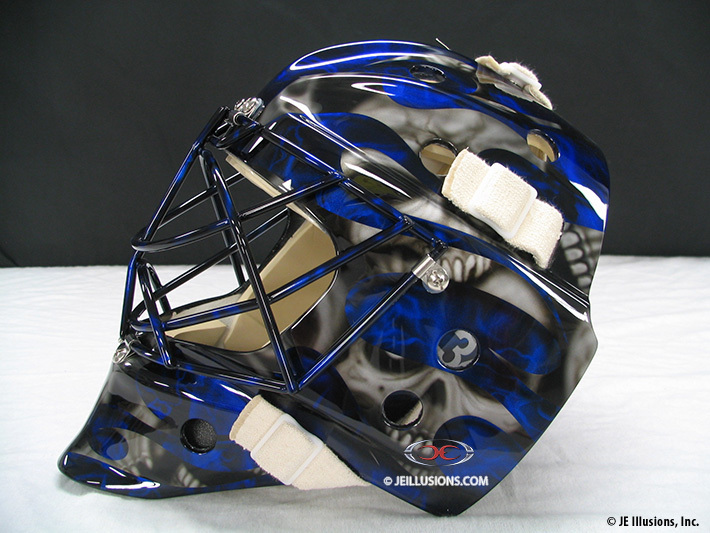 Custom airbrushed skulls, along with our signature flame effects in Royal Blue surround the helmet. 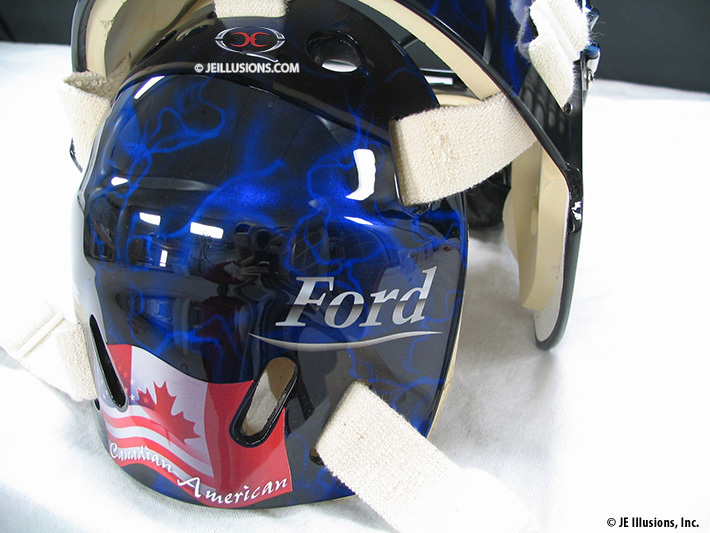 All painted on top of Jet Black, along with sponsorship logo and American/Canadian flag on the back. 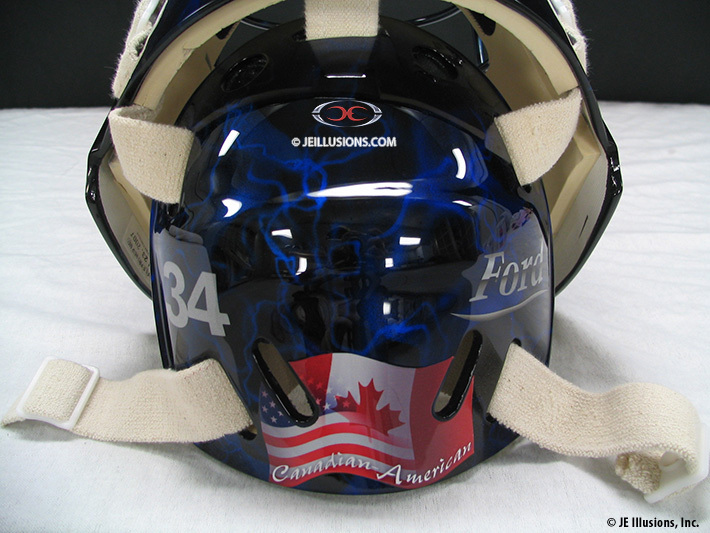 This helmet will surely cause the opposing team to loose concentration!